The unfolding of a new year excites us to pursue new opportunities, take more risks, and most importantly, improve ourselves with the help of resolutions. For many of us, our determination to treat our bodies like temples is renewed. But for MINIacs, the New Year reminds us to treat our car companions even better inside and out! One of the most basic procedures we all do is an oil change; treating the lifeblood of your car is an obvious must. We all do it, but it’s the matter of frequency that throw car owners off the most. Thankfully, we wrote this blog to help identify how regularly you should be bringing your MINI in for a quick checkup with our awesome Service Specialists! HOW OFTEN SHOULD I BRING MY MINI IN FOR SERVICE? Ten years ago, it was the standard to bring in cars for oil checks every 5,000 km. However, with the development of better-quality oils, your MINI can withstand much longer without an oil change. 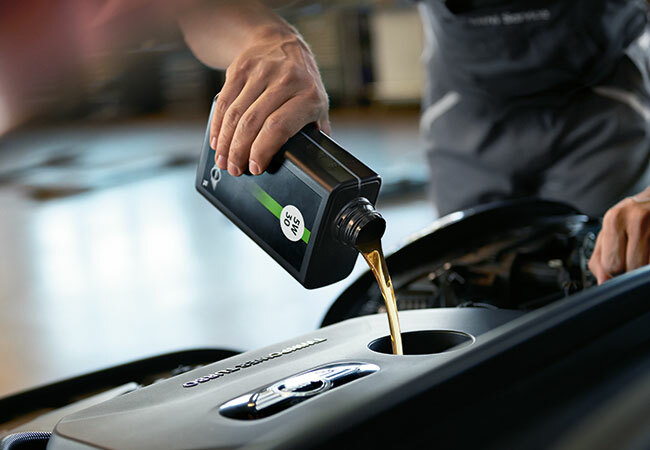 Now, we recommend that you bring in your Cooper every 13,000 to 14,000 km or once a year for a healthy oil change, especially since it requires BMW Genuine Oil with a viscosity grade of SAE 0W-30. WHAT HAPPENS IF I DON’T GET MY OIL CHANGE DONE OFTEN ENOUGH? This is a risk you don’t want to take. When you delay your oil changes, we can’t really say that there are any benefits to it. Dangerous levels of iron within the oil will be revealed, and that’s an indicator that the steel from cylinder liners, camshafts, and other internal parts are being worn down because the oil anti-oxidizing and anti-wear additives are already broken down. When your oil becomes contaminated from external elements like iron contamination or even water from the rain, it actually becomes one of the worst villains for your engine as well. As the oil breaks down and gets grittier, it thins and becomes incapable of properly lubricating your engine (which should always be cushioned with a healthy, thick layer of oil!). When this happens, your engine is more prone to overheating and eventually affects the gas mileage. Conversely, old oil also creates sludge deposits within the engine—similar to blood clots in humans, these sludges interfere with the flow of lifeblood throughout the engine and block oil from doing their job and actually help insulate heat within the engine, which again, causes overheating and shortens the service lifespan of your car. A MINI’s liquid gold is most definitely amber-toned. If the oil is anything murkier, then just be aware that it’s almost time to give your car a deep clean. You can also keep track of the distance travelled with the help of your odometer and go in for service once you’ve hit 13,000 km with your Cooper. However, if you’re not numerically inclined, your MINI will let you know when the engine oil light flashes on your dashboard. When you see that light, make it a priority to schedule an oil change as soon as you can! Important to note: We recommend clients to check oil levels in between oil changes (about every 3,000 km), especially for older vehicles. For only a short amount of your time, you can prolong the lifespan of your MINI for years. To schedule an oil change, call our Service Team at 604.232.7880 or book online today.